This net is made from the top down. There is only one place with loose ends showing. 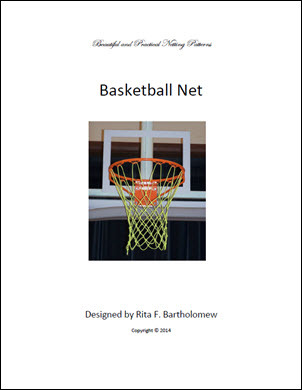 To accommodate the specific requirements of a basketball net, this design uses a unique method to create the first round and grommet.